Peanut the Lamb: A picture book for all ages. This is a bedtime story to sooth and inspire all ages. The soft and playful watercolors by Rebecca Gavney Driscoll glow à la Beatrix Potter. A sweet story, Peanut of Blind Faith Farm has an optimistic moral to boost your spirits after the dreariest of days. Maybe it’s a desk drawer story to boost your moral during a tough day at work… in any case, in the face of adversity, it’s good to know that we can make things work. 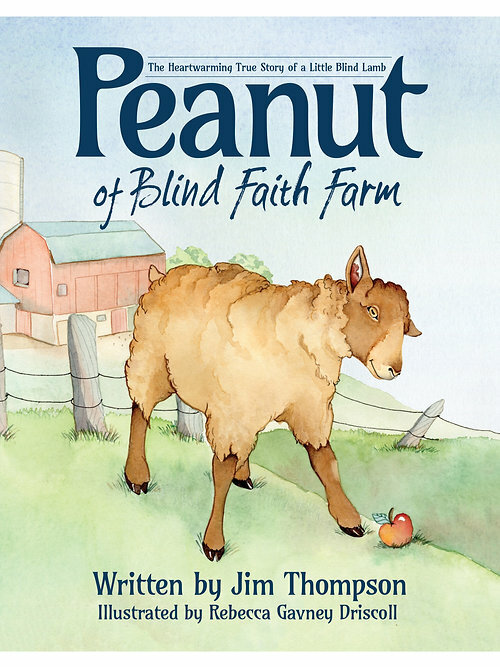 Author Jim Thompson based this picture book on the real life occurrence at Blind Faith Farm, located between Madison and Milwaukee, Wisconsin. I’m thankful he did. No spoiler alerts here! Remember my fantasy fleece? It came from Blind Faith Farm (but not from Peanut). Small world, right? Thanks to the book publishing revolution, we can enjoy stories from all over the world. While I’m at it, do you know the work Boston-based Mary DePalma and Jamie Harper? Aren’t we lucky to be alive in a time when we can easily discover the lovely work of others? Get a copy of Peanut of Blind Faith Farm for the little ones in your life… and perhaps one for yourself, too. Let me know what you think.